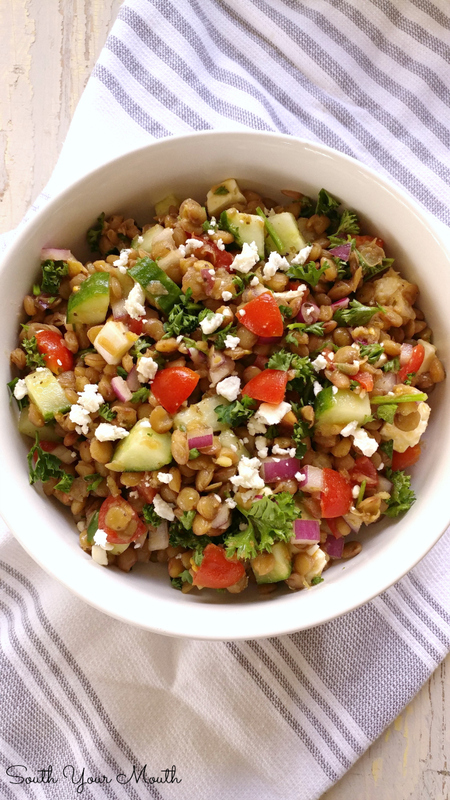 Lentil salad with an easy homemade Mediterranean inspired vinaigrette (or use prepared) and fresh, crisp vegetables. 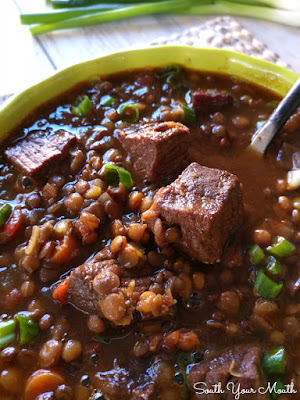 Oh my goodness, I do love me some lentils. They’re my new favorite play-thing when it comes to experimenting in the kitchen. We’ve been eating them instead of rice or potatoes as side dishes with supper because they’re soooooo much better for you (high fiber, high protein) and they cook up just as fast. I usually cook up a big batch of something on Sunday that I can pack for lunches during the week and my all-time favorite is my Italian Lentil Soup with Sausage (seriously, if you haven’t made that one yet, put it on your bucket list). 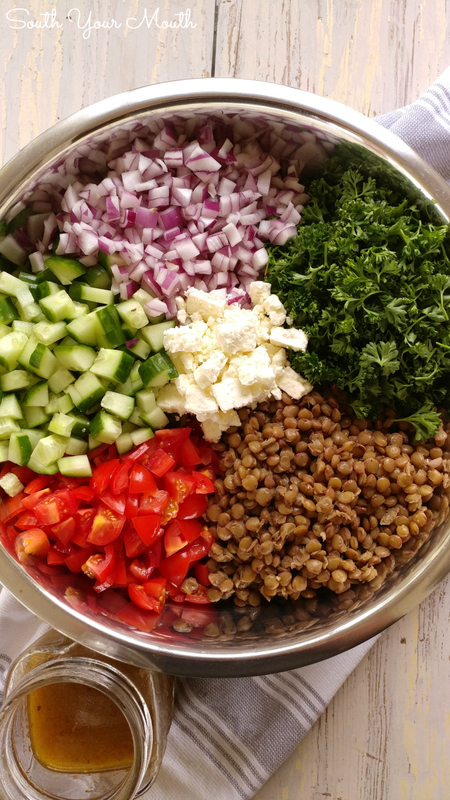 But since the weather’s been warming up and, again, I’m obsessed with lentils right now, I thought I’d try to make a lentil salad! I figured I’d treat the lentils like pasta and make something similar to a pasta salad. And since I wanted to use my Hurst’s Garlic & Herb Lentils I decided to head in a Mediterranean direction which I’m so glad I did! I can’t wait to make this over the summer for pool parties and potlucks! 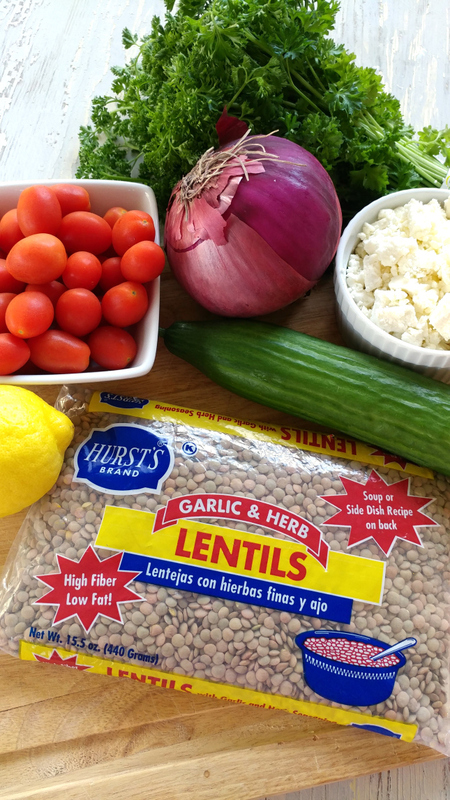 If you can’t find Hurst’s Garlic & Herb Lentils in your local grocery store, ask for them! My grocery store now carries all sorts of products they didn’t have before simply because I asked for them. Remove seasoning packet from Hurst’s Garlic & Herb Lentils. Measure out 1 tablespoon of seasoning to be used in dressing; set aside. Add remaining seasoning, lentils, water and two tablespoons olive oil to a large pot. 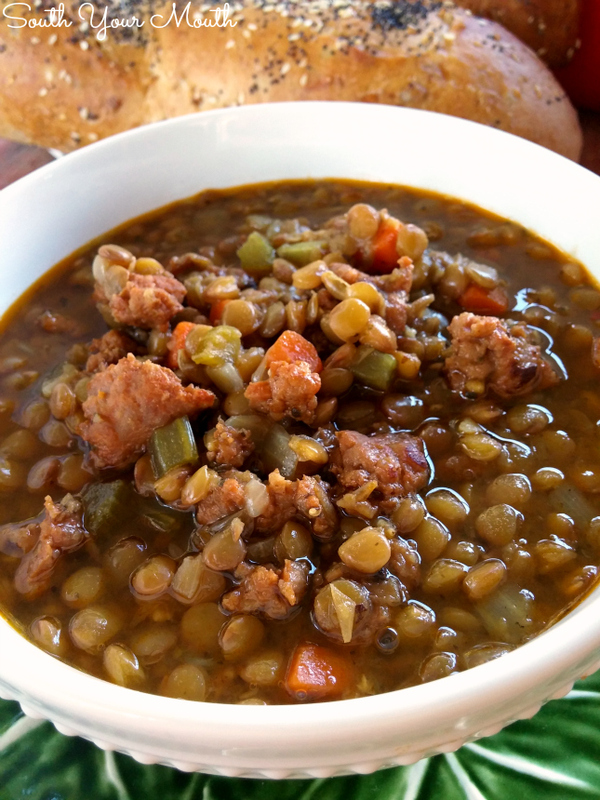 Bring lentils to a boil, reduce heat, cover and cook for 35 minutes or until lentils are al dente. Strain lentils then gently rinse in cold water. Set aside to drain thoroughly. Combine dressing ingredients and mix well; set aside. 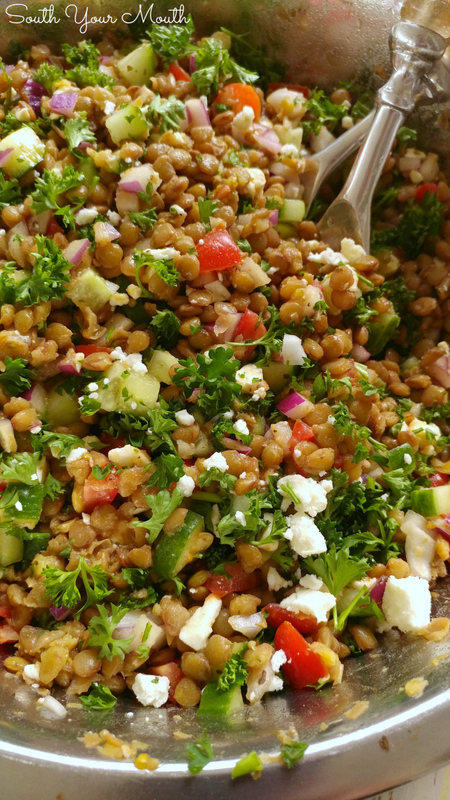 Combine cucumber, tomatoes, onion, parsley, 2/3 of feta and lentils in a large bowl. Add dressing and mix well. To serve, top salad with remaining feta. If you can’t find the Hurst’s Garlic & Herb Lentils, ask your grocer to get them for you or order online. 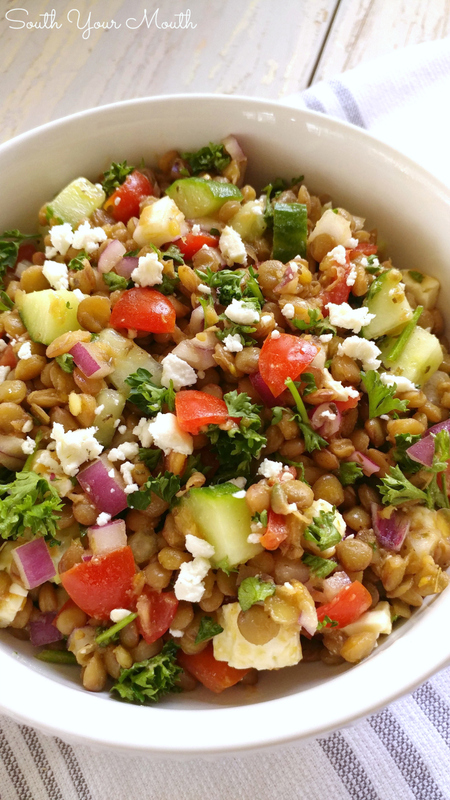 If you’re not able to get them, substitute with 2 cups uncooked lentils (cook with salt to taste) and dress with 1 cup Greek salad dressing. Don’t skip the fresh parsley! It really gives the salad a unique freshness and it pairs so beautifully with fresh lemon juice! If you really enjoy lemon in Greek dishes, consider zesting your lemons and adding the zest to the salad as well. You will likely need 2 lemons to yield 1/3 cup juice. I have never been able to get more than 1/4 cup from one. Greek olives and/or roasted red peppers would be great additions to this salad! 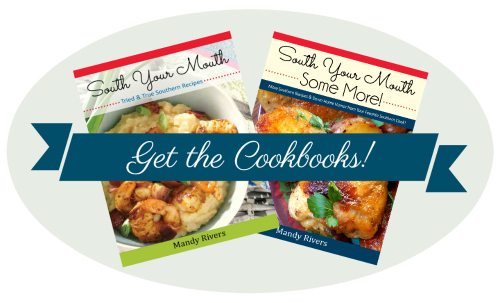 Mandy, I am so excited that you're sharing recipes with lentils. 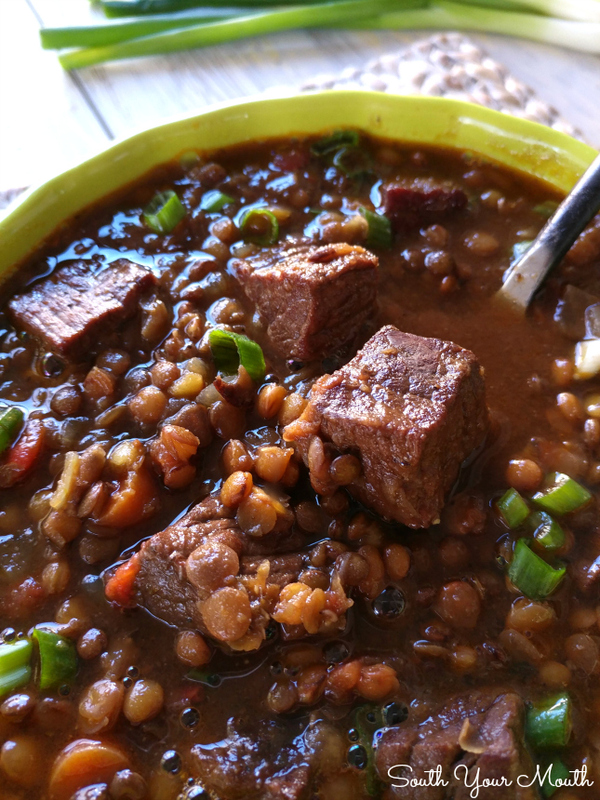 I discovered lentils a few years ago and they are a part of our regular menu too. My Kroger is now selling the Hursts Garlic Herb lentils and Cajun 15 Bean because I asked them too I'm so glad you suggested to ask! I made this yesterday and it is a keeper! I used 2 cups of plane lentils. You are absolutely right about not omitting the parsley. It adds a nice freshness. I used a trick from a Tabbouleh recipe and salted the parsley, cucumber and tomato with a little kosher salt while the lentils cooked. It helped to draw out some extra moisture and I believe it helps tame the parsley flavor a bit. Since I didn't have the seasoning from the bag of lentils I made a batch of Greek Dressing using Penzey's Greek Seasonings. I can't keep my spoon out of the container! Thank you for posting this!